Require service in Leesburg, Virginia? Asphalt is a very interesting material which is used on many residential driveways, parking lots, roads and many other surfaces used for transportation purposes. Unlike other paving materials, blacktop is fairly simple to repair, fill any cracks or potholes and it requires very little maintenance. If you own an asphalt driveway, all you need for upkeep is to routinely hire someone to perform a driveway sealing, which uses a compound that protects your pavement from the elements like water and sun rays that ultimately cause discoloration and cracking. A new driveway will only last so long with proper maintenance and will eventually need to be resurfaced or repaved. If you are looking for any of the above mentioned services, then be sure to give us a call to schedule your free estimate. Reach us by phone at (703) 810-7630 or fill out our free estimate request form. Which Asphalt Paving Company Are You Going To Call? 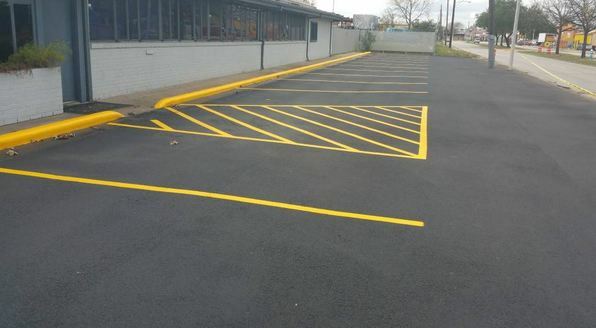 Asphalt services in Leesburg, Virginia are cheaper than concrete ones and that’s a fact. While that may be true, you want a quality driveway. Is asphalt going to be your choice, or are you going with concrete. In some neighborhoods, you see every home has the same type of driveway. In other neighborhoods, especially older ones, people have made different choices. If you live in a rural area, you might not have any neighbors right close by. Asphalt is certain a popular choice for many reasons, not just because of the cheaper costs. Driveway paving with asphalt is one of the top choices, and it’s a good idea to discover just why that’s the case. Then you can decide if you want to go with asphalt or concrete. You can certainly get a quote for both concrete and asphalt services, too, if you like. Maybe you have an existing driveway, and you’re not sure whether or not it just needs to be resealed. Driveway sealing would be cheaper on you, but it has to be the right solution. Seal coating is a process that doesn’t need to be overdone. If it is time to have your driveway redone, the professionals will know, too. That being said, you want professionals you can trust so that you know you are not jumping the gun on a new driveway. It is certainly going to help with curb appeal, right? You are going to want to know the total costs associated with the project, and you will want to know how long you can expect the driveway to last, too. Remember that you have to keep up with the maintenance on the driveway, or it won’t last as long as you would like. For now, it’s time to find the asphalt company that you want to do business with.